Thanks to constant research and medical advances, infertility treatments continue to change and improve. As a result, what was sound medical advice or conventional wisdom even ten years ago may not apply today. When it comes to coping strategies, the best advice often comes from support groups and people who have gone through infertility. But medical advice changes quickly, so make sure your doctor is giving you the most current information. 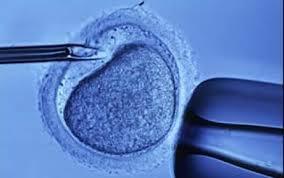 An example of the changing approach to infertility treatment involves in-vitro fertilization (IVF). After an unsuccessful IVF cycle, the patient may be faced with the decision of when to try another IVF cycle. Previously it was thought that repetitive attempts could be detrimental to subsequent cycles by reducing the number of eggs. Here we will examine the reasoning behind previous research and take a look at more current research. Freezing embryos is one way to increase your chances of obtaining a pregnancy by allowing multiple transfers from one fresh cycle IVF. However, many couples may not have any embryos to freeze and must undergo another IVF cycle. These couples have two options: either wait until a later date to perform another cycle of IVF or proceed directly into another IVF cycle. The theory behind waiting derives from the lack of research on the excessive use of follicle stimulating hormone (FSH) during IVF treatment to stimulate the ovaries to produce eggs. The FSH allows even the smallest of follicles to grow and become mature eggs. Initially it was believed that this increase in follicular development would deplete the pool of follicles available for the subsequent IVF cycle (Te Velde et al., 1998). For example, if the initial IVF cycle was unsuccessful, it was believed that the medications from the previous cycle reduces the number of eggs available for the next cycle. It was also speculated that the needle punctures used to retrieve the eggs from the ovary may cause a decrease in subsequent follicular production (Gobert et al., 1992). So, waiting between IVF cycles allows the pool of follicles time to replenish. More current research has shown little effect on the number of eggs retrieved in consecutive cycle stimulations compared to the initial IVF cycle (de Boer et al., 2004). However, one of the problems with comparing consecutive cycles is that if you are not pregnant and no embryos are frozen, your cycle was probably not optimal. Consequently the doctor may change your stimulation in hopes of creating a more ideal IVF cycle. The changing of stimulation will change the number of eggs retrieved and possibly embryo quality in the corresponding cycle. Furthermore, waiting too long to conceive may decrease your follicular pool by age related infertility. For example, if you underwent an IVF cycle when you were 38 years old that resulted in a negative pregnancy test and you waited 6 months before trying again, you could now be 39 and your odds of success have decreased simply because of your age. Some research indicates that there is no effect on repeat IVF cycles except for those seen to naturally occur with age dependent deterioration (Kolibianakis et al., 2002). In the end, female age is one of the determining factors in IVF success. With consecutive cycle IVF, doctors change the stimulation drugs and drug dosage in order to yield a positive outcome. Talk with your doctor to find out how these changes may influence your IVF cycle. Kolibianakis E, Osmanagaoglu K, Camus M, Tournaye H, Van Steirteghem A, Devroey P. 2002. Effect of repeated assisted reproductive technology cycles on ovarian response. Fertil Steril. 77:967-970.
de Boer EJ, Tonkelaar ID, Burger CW, Looman CWN, van Leeuwen FE, te Velde ER. 2004. The number of retrieved oocytes does not decrease during consecutive gonadotrophin-stimulated IVF cycles. Hum Repro. 19:899-904. Gobert B, Barbarino-Monnier P, Guillet-May F, Bene MC, Faure GC. 1992. Anti-ovary antibodies after attempts at human in vitro fertilization induced by follicular puncture rather than hormonal stimulation. J Reprod Fertil. 96:213-218. Te Velde ER, Scheffer GJ, Dorland M, Broekmans FJ, Fauser BC. 1998. Developmental and endocrine aspects of normal ovarian aging. Mol Cell Endocrinol. 145:67-73. This entry was posted in Infertility, IVF and tagged IVF. Bookmark the permalink.